Bruce Hudoba graduated from University of Minnesota in Duluth in 1992 with a Bachelor of Arts degree. He then spent 10 years in the probation field, starting as a juvenile probation officer, working his way up to a supervisor for Court Services in Scott County. In 2005, Bruce left the probation field to join his in-laws in their family real estate business as a licensed realtor. Bruce currently works alongside his wife Missy, and his brother-in-law, Chris Rooney. Bruce and Missy have 30 years combined real estate experience, with extensive experience in residential, foreclosures, land/acreage and short sales. Their combined talents are the epitome of dedication, hard work, integrity, and expert knowledge in every detail of real estate transactions. Their collaborative approach to meeting clients has left hundreds of clients feeling highly satisfied with their home buying/selling process. Bruce resides with his family in Prior Lake with their two son’s Jack and Charlie, and their 2-year-old French Brittany Spaniel Chloe. Bruce’s dedication and devotion to his family remains a top priority. He loves watching their boys play baseball, and tries to keep up with the boys in an annual 5k race. He enjoys outdoor sports, especially fishing and hunting. Bruce’s family actively participates in the Prior Lake community, and networks locally with friends. Some of Bruce’s real estate achievements include: RE/MAX 100% Club, Zillow top 1%, 2014/2015 Best of Trulia Top Agent Award, and a Guest Host on WCCO Real Estate Radio Hour. Because of his patience, extensive knowledge, and invaluable leadership, he is also a mentor to new agents at RE/MAX Preferred. Bruce has become a go-to agent and consistent leader with a reputation for tenaciously protecting his clients’ interests. Savvy negotiations and cutting-edge marketing strategies join uncompromising integrity as the hallmarks of Bruce’s service. 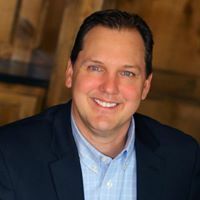 Bruce is exceptionally well-respected in Prior Lake, not only for his unparalleled professional track record and high ethical standards, but for being an honest, hard-working family man who will do anything in his power to ensure his clients’ success.